Combine my modified paleo cauliflower corn tortillas with my cilantro-lime salsa, Oaxaca cheese for creaminess, and some poblanos for spice and you've got the makings of a killer quesadilla. 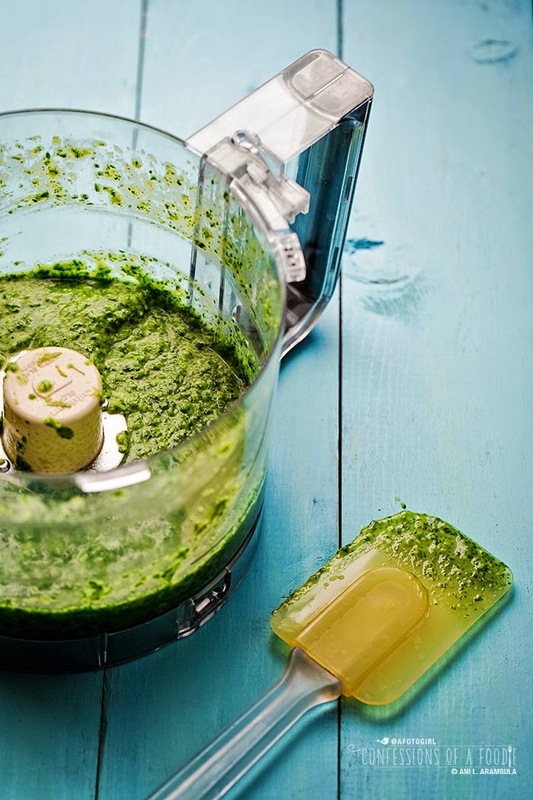 So I've shown you how easy and yummy it is to make cauliflower corn tortillas and I recently showed you my new favorite condiment, cilantro-lime salsa verde. Today I'm showing you how I like to bring these two recipes together for a yummy breakfast or lunch. Actually, one day I added a nice big mixed green salad and called it dinner. It's quite satisfying. 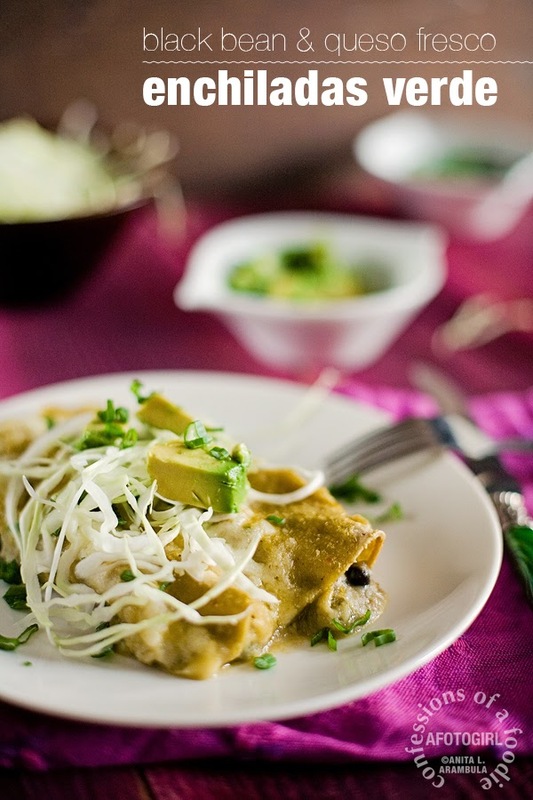 Have you heard of Oaxaca cheese? Think of it as Mexican-style mozzarella. It's a creamy, white, semi-hard cheese with a mozzarella-like string cheese texture and a mild flavor much like Monterey Jack. It's named for the Mexican state in which it was first made, arriving in Oaxaca via Italian monks who brought their cheese-making know-how to Mexico. It's made from cow's milk and is widely used in Mexico. 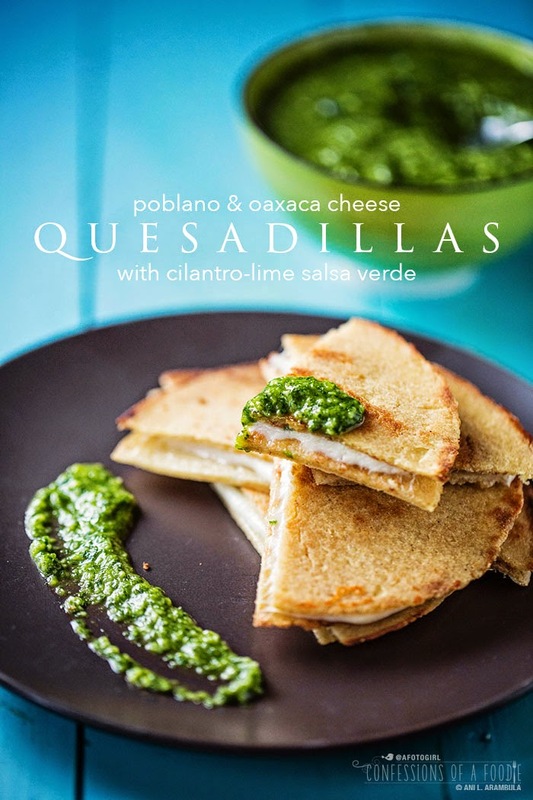 It melts wonderfully and is one of my favorite cheeses to use for quesadillas. 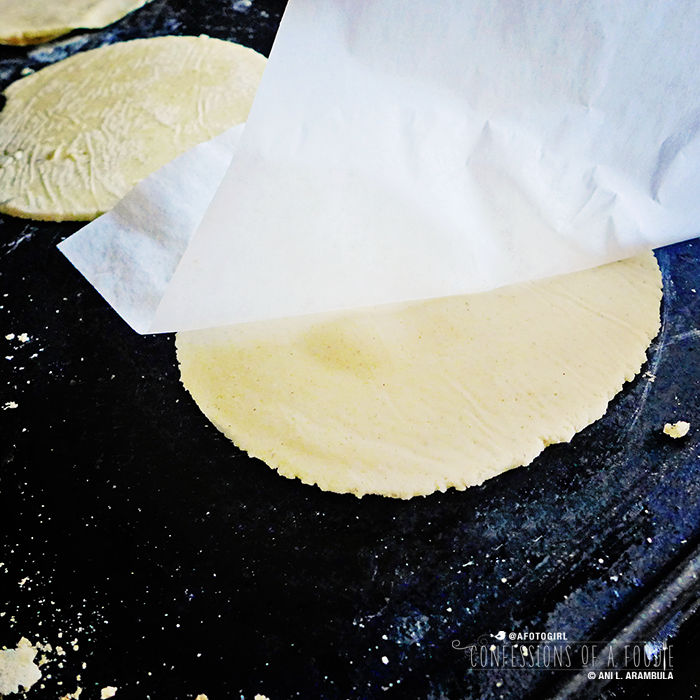 If you don't want to make the cauliflower corn tortillas, simply make some plain corn tortillas or, gasp!, buy store bought tortillas. But homemade is so much better. You can get my tips and tricks and recipe near the end of this post right over here. 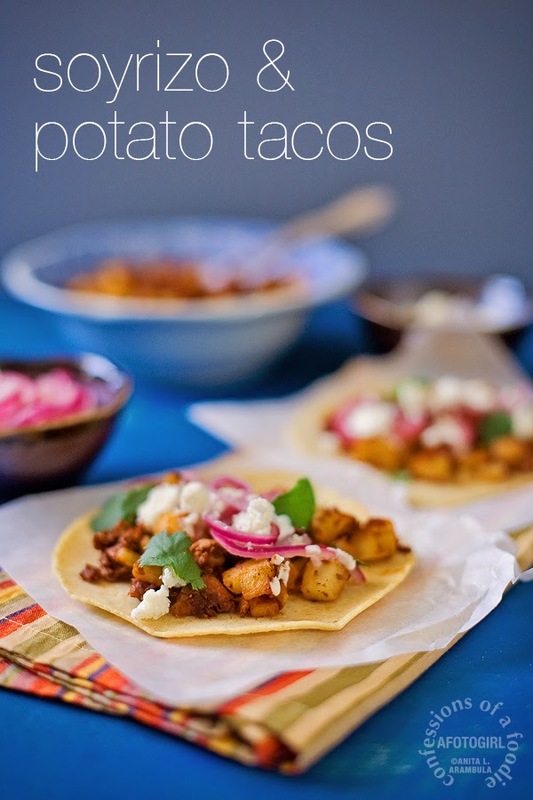 Whatever tortilla you use, it's going to be delicious. 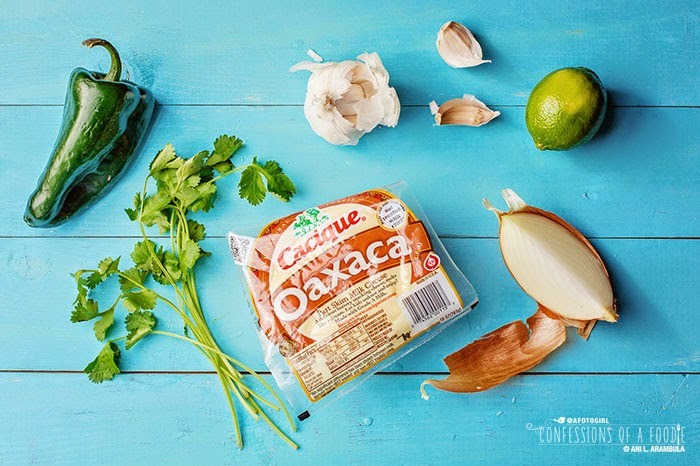 You can find the Oaxaca cheese at pretty much any major grocery store alongside other Mexican cheeses like queso fresco or cotija. 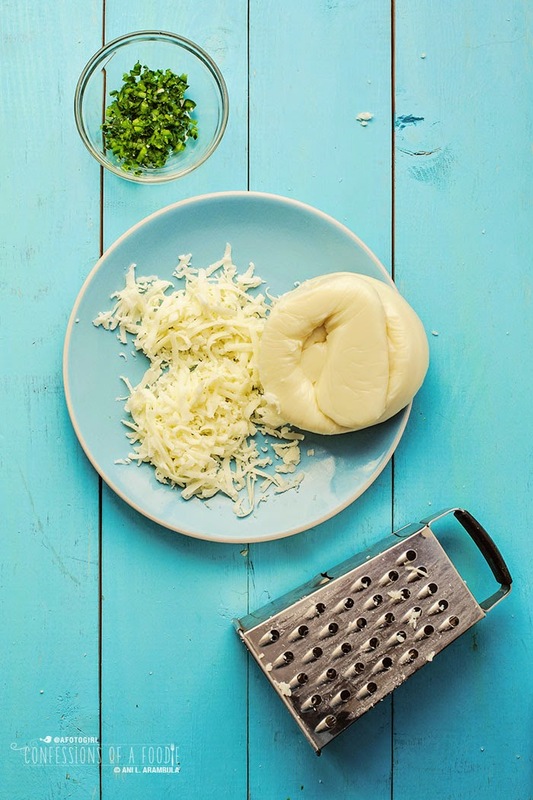 If you can't find Oaxaca cheese, feel free to sub in some shredded mozzarella or Montery Jack. Just don't use yellow cheese like cheddar which is too oily and strong flavored, or, ahem, American cheese slices cause that's just wrong. 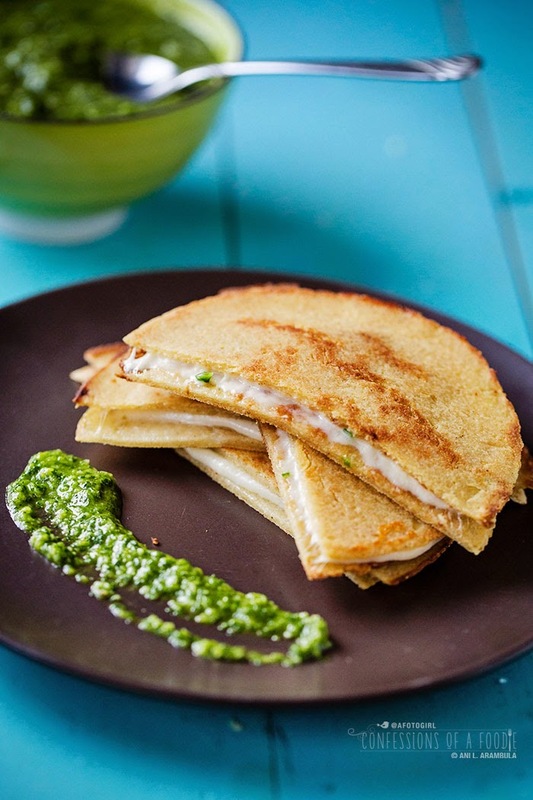 Top the quesadilla with cilantro-lime salsa verde or use it as a dipping sauce. It's the perfect companion to this dish, brightening the flavors and adding a wonderful aromatic herbaceous quality. My 85 years young Mexican grandmother loved these. She inhaled them the day I shot the photos for this post. The next dat, she enthusiastically agreed to even more when I offered to make some for her for lunch. Grandma rarely eats lunch. That's a pretty good seal of approval, if you ask me. So go. Make these and call it lunch served. Place a skillet or griddle on medium-high heat. Once hot, add ¼ teaspoon butter to pan and swirl pan. 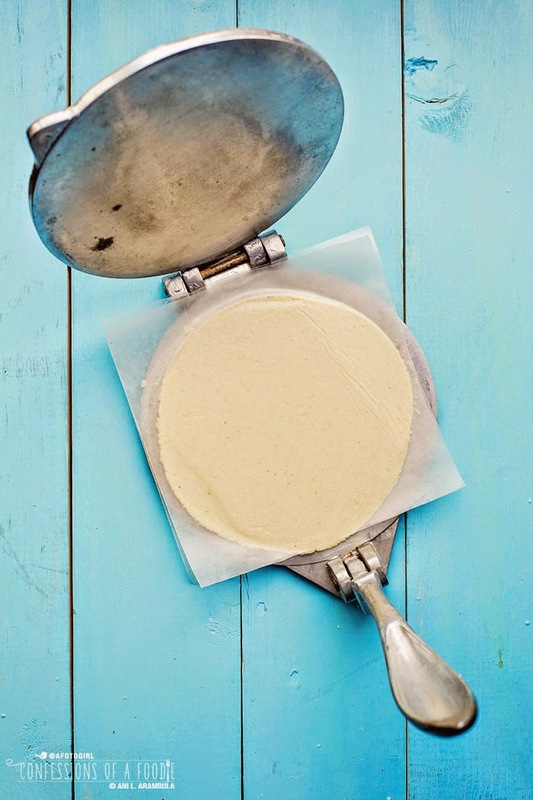 Add one tortilla to pan and spread a ¼ cup of shredded cheese evenly across tortilla. Sprinkle about 1 tablespoon, or to taste, of diced poblano over the cheese. Top with a second tortilla. Allow to cook until bottom tortilla is golden and crispy, about 3-5 minutes. Use a spatula to lift the tortilla to check for doneness. When it's golden, lift quesadilla up and add a bit more butter to pan, swirl, then gently flip the quesadilla over and cook for an additional 3-5 minutes until crispy and golden and cheese has melted. Remove to a chopping board and carefully cut into quarters. 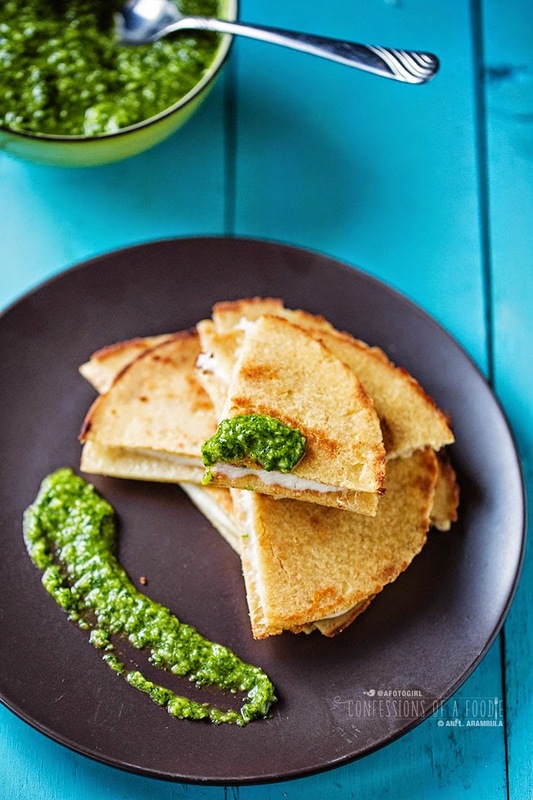 Keep in a warm oven while you make the rest of the quesadillas or serve immediately with cilantro-lime salsa on the side. Remember, let's make it a point to eat real food this year! And that poblano sauce, oh my. Ok, Ani, this is dinner tonight. Thanks!